Before and After: Extract Flue Cleaning – Why Is It So Important? At HVDS we help clients in the Food Industry with cleaning and maintenance of air filtration and extraction systems. Our hygiene teams work to ensure that systems are suitable for use, hazard free and audit compliant. A typical job for us that meets this criteria is Extract Flue Cleaning. Customers typically request that we go on-site in order to assess and subsequently clean their oven or fryer extract flues. 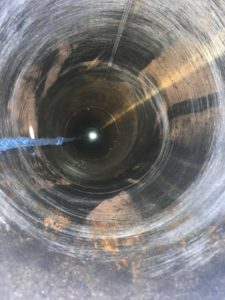 The images above show two different cases of what can come from an extract flue assessment and clean – specifically an extract flue that has been poorly maintained over time. 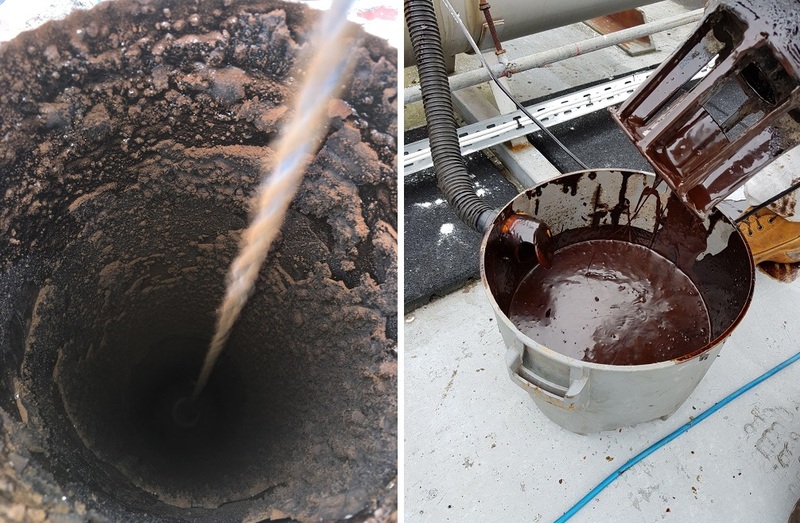 The image on the right clearly demonstrates what happens when an extract flue experiences very heavy use but has not been experiencing a regular cleaning regime. The chocolate looking substance, otherwise known as “liquid firelighter”, can cause an enormous fire and safety hazard to large factories which is why cleaning, assessment and early intervention are critical. When it comes to Extract Flue Cleaning our hygiene team works to clean out the systems, leaving them in a safe and audit compliant state as you can see below. What could have been done to avoid this situation? At HVDS we offer free ‘behind the scenes’ surveys to give you peace of mind, as well as offering cleaning and maintenance services to keep your air and extraction systems in good working order. Contact us today on 01785 256 976 to find out more about our clean air solutions.